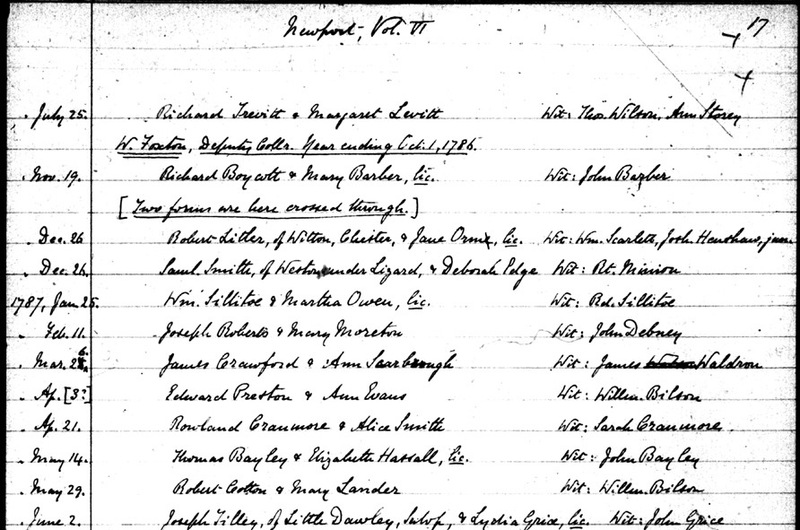 The marriage of Thomas Bayley and Elizabeth Hassall was recorded in the parish register of St. Nicholas Church, 14 May 1787. Both were residents of Newport. Witness to the marriage was John Bayley. John could have been Thomas' father or brother. The parents of Thomas are unknown. The parents of Elizabeth were John Hassall & Elizabeth Ward. Elizabeth and Thomas Bayley's son John was born in 1789 and baptized in St. Nicholas Church in Newport.